Whatever your circumstance, Salon Interiors expert staff can provide you with a complete cost estimate on your existing salon equipment. Who can you turn to when your salon has a catastrophe? Be it due to vandalism, fire, flood or an act of God, allow Salon Interiors the opportunity to help. We can help you to accurately calculate all the appropriate figures necessary to to file a claim with your insurance company. Thinking about selling your furniture and equipment due to partnership dissolution, divorce or retirement, we can help. Let us enable you to receive the most value from your investment. Salon Interiors can present you with the true market figures necessary to protect your interests. 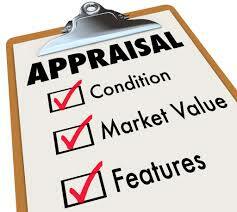 Unlike some appraisal firms, Salon Interiors will provide you with the three most common types of assessment value. The cost of purchasing the exact same or similar type products, furniture and equipment in today's market. The value that a user of that furniture and equipment would pay if everything is in an "in use" situation at a location. The value of the furniture and equipment if a wholesalers were to purchase salon furniture and equipment for resale.